A new block fronting the Union Canal was added to an existing suite of Victorian Warehouses. On the canal side the existing 4m high wall of the former warehouse has been removed. The new building acts as a hub for the site’s numerous artists and artisans, housing a café and exhibition spaces. Strategically, the design seeks to improve the pedestrian connections between the existing blocks on White Post Lane, threading through the site and linking the existing buildings to the new courtyard that opens on to the canal. The site is located near the River Lee, adjacent to the Union Canal and is classified as medium risk of flood by the Environment Agency. The new block is located on the footprint of the former warehouse building and its ground floor is elevated on stilts above the Environment Agency’s 1 in 100 flood event level. 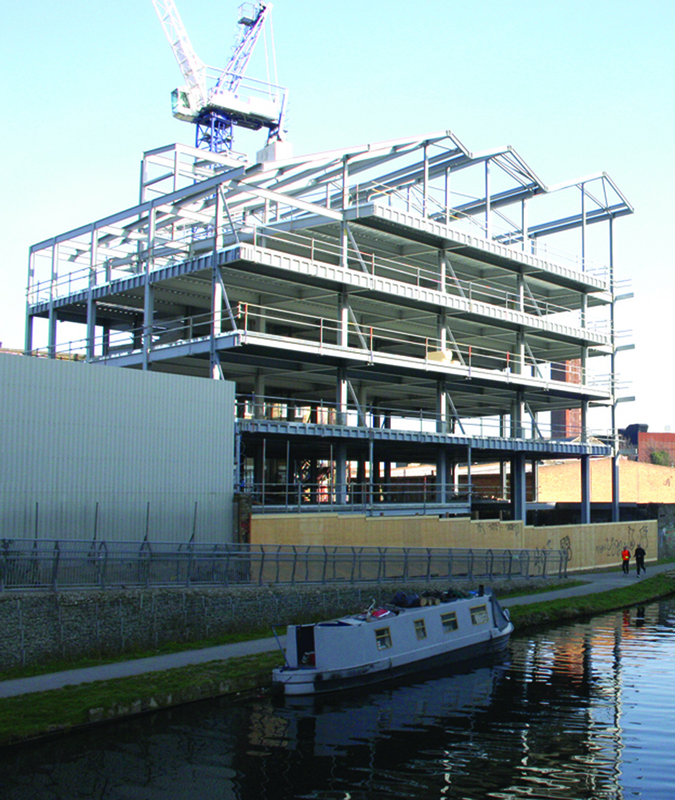 A void is left beneath the building for flood storage and the raised courtyard provides a safe refuge area for both the buildings occupants and canal users in the event of an extreme flood event. The design preserves the wharf/industrial character of the area incorporating a loading hoist and dedicated delivery bays at each floor. This approach is envisaged to increase the longevity of the building and facilitate transportation of goods via water, one of the most sustainable forms of transportation. The east London site is now home to several hundred artisans and artists. White Post Lane demonstrates Baca Architects’ ability to deliver excellence within limited budgets and to tight deadlines.